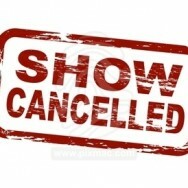 PLEASE NOTE: Due to anticipated worsening weather conditions, this concert has been cancelled. Please contact your place of purchase for refunds. We hope to be able to present this wonderful concert from Nota Bene in the future. The rhythms of the ciaccona, plus music of the Italian Baroque and Renaissance. Arias, songs and sonatas by Monteverdi, Frescobaldi, and Corelli.